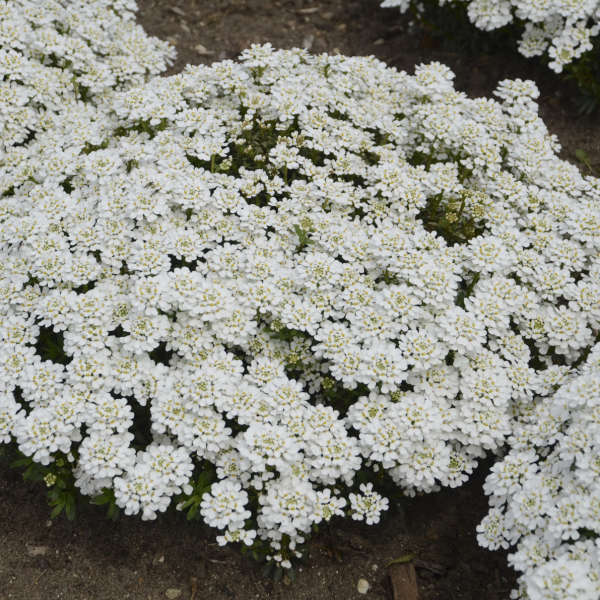 Iberis sempervirens 'Snowball' | Walters Gardens, Inc. 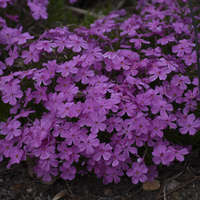 This Candytuft brings a refinement to the popular category of perennials. Compared to 'Snowflake', this variety has bigger flowers, as well as a more uniform and tighter habit. 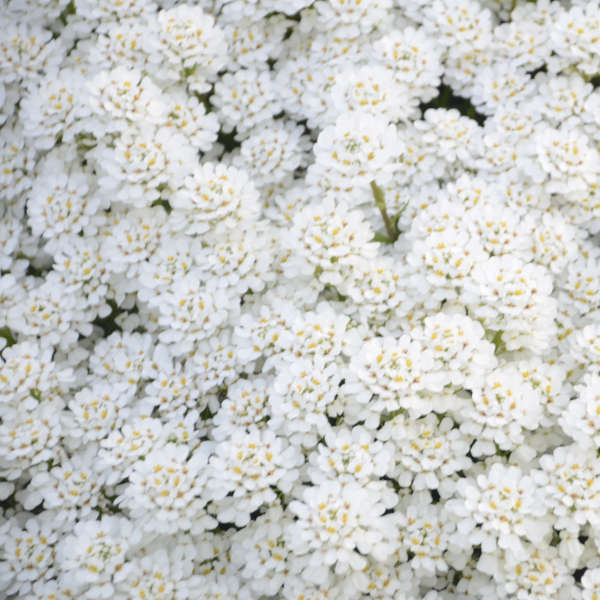 An old-time favorite, candytuft is a charming plant for perennial gardens. Because of its drought tolerance, it makes a great filler for crevices in walls or between the stones of walkways. 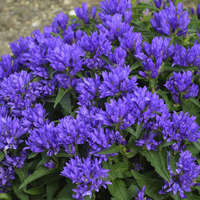 It is also effective as edging or groundcover. Candytuft is easily grown in well-drained, alkaline soil in full sun. Plan to shear these plants back by about half right after they are finished flowering in order to promote new growth and a more compact growth habit. Needs 150-200ppm for optimal growth. Required for 8-10 weeks for flowers. Most diseases can be avoided by managing the growing environment; proper spacing of containers, adequate air movement, humiditiy control, monitoring media salt levels and providing proper irrigation. Plant small plugs in late summer to allow enough time to bulk before dormancy. If a spring planting is desired then use bare root plants for a quick turn crop. Pinch 1-2 times; soft pinch at liner planting and another 4 weeks later to maintain even growth. Bare root plants do not require pinching. Provide high light levels for best results. 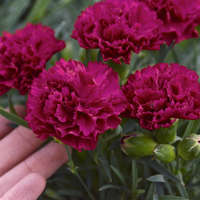 It is not recommended to plant small plugs in the spring since they will flower before they achieve the desired size.